For lay-up, preservation, and mothball applications to protect internal cavities and recesses. Preserving equipment that needs to undergo hydrostatic testing prior to shipping and storage. In a mothballed facility, Nox-Rust powders keep machinery in working order so that production may be restored quickly if needed. Apply VCI powders by dusting or sprinkling, fogging into the enclosed space with a low-pressure air hose, or dissolve in water. The VCI powder is safe and environmentally friendly. It does not contain phosphates, heavy metals or nitrites. Silica-free, water soluble powder for protecting equipment during storage, lay-up or hydrostatic testing. Apply powder by dusting, fogging, or dissolve in water. No need to remove before restarting the unit after shut-down. Sold in 5-lb. and 25.-lb boxes. 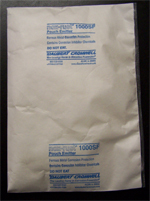 Each 8” x 11” pouch contains Nox-Rust 1000SF powder to protect up to 900 cubic feet of enclosed space. Put it inside boilers, tanks, void spaces inside vessels, turbines and steam or condensate pipe lines. 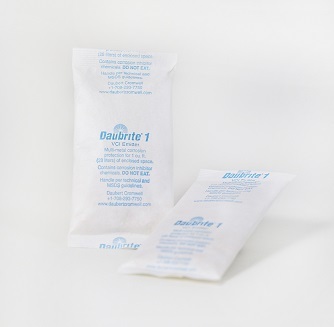 The breathable polyethylene sealed bag is able to diffuse slowly, protecting ferrous metals during extended periods of equipment inactivity, during storage or lay-up. Finely ground version of 1000SF. Use in applications where a fine powder is needed. Silica-free, water soluble, finely ground powder. Use wet or dry. Compatible with copper, brass and galvanized steel. Does not need to be removed prior to equipment restart. Each Nox-Rust 1015 Pouch Emitter will protect exposed metals inside an enclosure of up to 15 cubic feet. 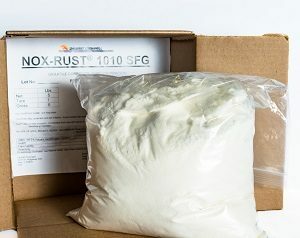 Nox-Rust 1015 pouch emitter eliminates the need to fog or spray powders when such a method of application is not desired or not possible.